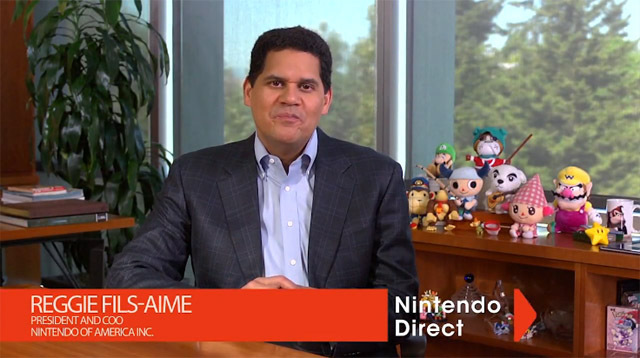 During a short Nintendo Direct presentation this morning, Nintendo of America president Reggie Fils-Aime revealed that The Big N has partnered with Best Buy to provide playable demos of unreleased Wii U games during the week of E3 (June 11-13, 2013). Last month Nintendo surprised everyone with the announcement that they would not be holding a large scale event at E3 2013, but would instead focus “a few smaller events” and other ways to deliver information about their games “directly” to their customers. At the time, most people assumed that this would only amount to a series of Nintendo Direct-type presentations around the time of E3. It is clear now that Nintendo also had something much bigger in mind. Once Nintendo announces which Best Buy locations will be hosting the unreleased Wii U demos, we should have a better idea as to how all of this will work. For now, it seems that Nintendo has come up with a very clever way to grab attention away from Sony and Microsoft at E3 — let consumers who are normally restricted to watching E3 coverage actually play the Wii U‘s lineup of E3 games.